This level has easy difficulty and you can easily difficulty and you need to use few steps and simple strategy to complete this level. For this level first try to play from bottom and break the timer bomb and then after use special Candy or colorbomb with order candy without unbalancing them moon. After moon struck try to use special combo to complete all orders. 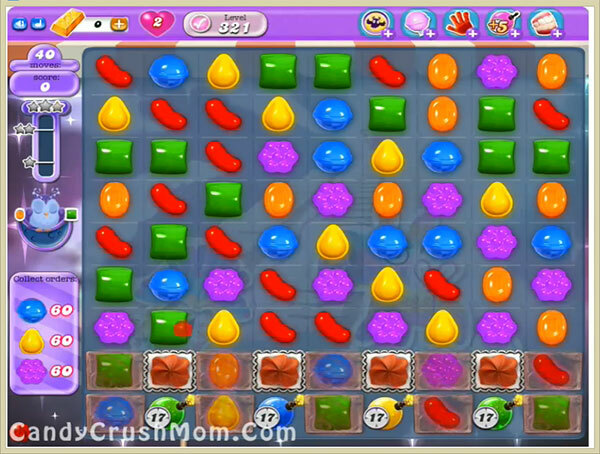 We completed this level with 363260 score using above technique that we share plus reach requirement before 19 moves with three star score.